Chartwell offers a range of senior living options across Canada including independent and assisted living retirement homes, memory care, long term care and extended care residences. 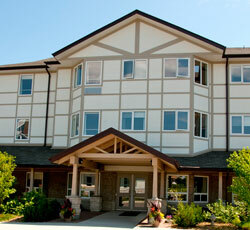 We offer our residents a safe and rewarding lifestyle in a seniors housing community that they are proud to call home. Chartwell Hilldale Retirement Residence (Previously Hilldale Gardens) has been viewed 22 times over the past 30 days (10245).